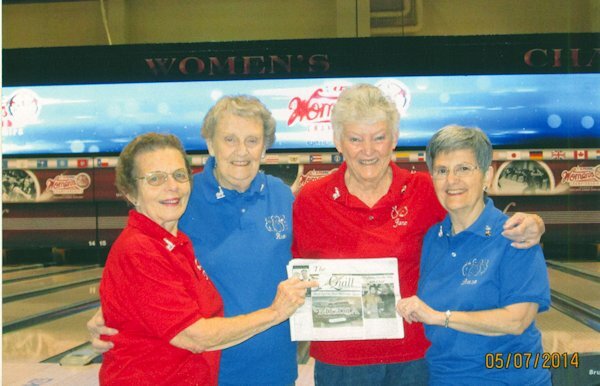 Pat Dunn, Rose Boyer, June Galbraith and Donna Hinshaw took "The Quill" along on their yearly bowling trip to Women's Nationals. It was once again in Reno, Nevada at the Convention Center. They were in Reno from May 4th till May 8th and stayed at Atlantis and enjoyed great food and a great time.